Our projects are designed to support the Spiritual, Moral Social and Cultural development of students in expressive, creative and interactive ways. 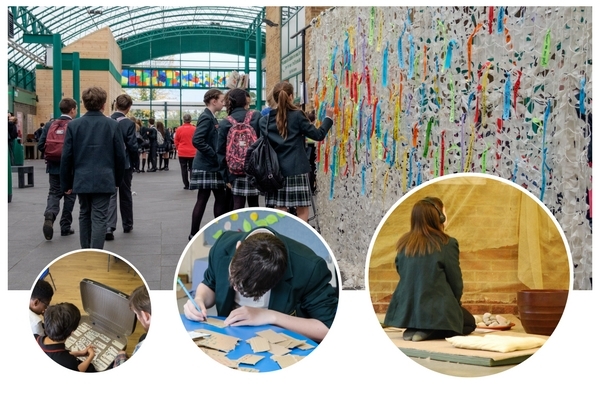 They enable individual students and whole school communities to reflect on their own values, principles and beliefs through interaction with a range of issues and the contributions of others. Each one has been shown to create a sense of awe, and stir an appreciation of the positive as well as an engagement with mystery and ultimate questions. CYO has supported the wider aims of the school by providing therapeutic activities within a nurturing environment that enabled students to engage with and consider wider moral and spiritual issues. Take a look at our projects by clicking the buttons below.